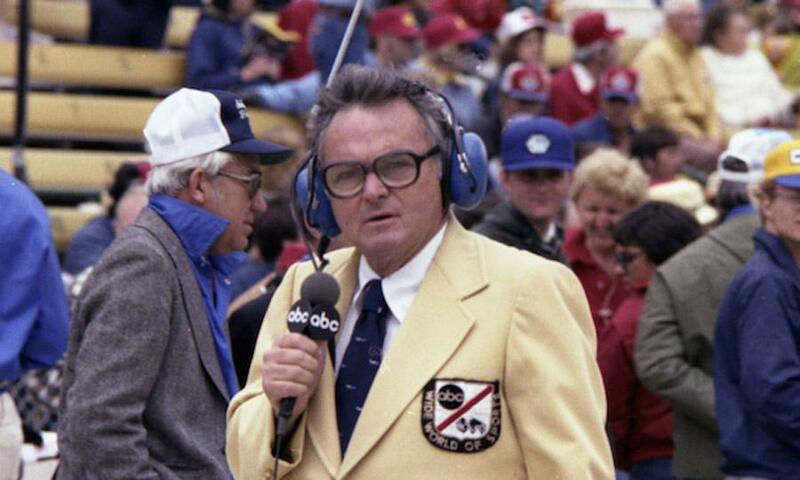 Chris Economaki, known as the “Dean of American Motorsports,” died early last Friday morning. He was 91 years old and for most of us he was the guy who was always there, at every race. “The passing of Chris Economaki is a tough loss for me on both a personal and professional level, having known Chris throughout my life,” said Brian France, NASCAR Chairman and CEO. “Many people consider Chris the greatest motorsports journalist of all time. He was, indeed, ‘the Dean.’ Chris was a fixture for years at NASCAR events, and played a huge role in growing NASCAR’s popularity. I’ll miss seeing him and of course, I’ll miss hearing that voice. Economaki began selling single copies of National Speed Sport News at age 14 and eventually became the publication’s editor, a position he held for 60 years. Economaki next turned his attention and energies to broadcasting, covering several Indianapolis 500s, Daytona 500s, Formula 1 Grand Prixes and other motorsports events for “ABC Wide World of Sports” in the 1960s. Two decades later, he moved to CBS Sports and later contributed to ESPN and TBS motorsports programming.